We offer a very simple and straightforward 30-day money-back return policy on your purchases. We will even pay for return shipping on most U.S. orders. Our risk-free return policy allows you to be confident and at ease when purchasing from us. Note: Valid only for items returned in their unworn, original condition within 30 days of the shipping date. For repairs, customers are responsible for shipping costs. You can return ANY item on our site for a refund except items specified in the non-returnable items below. Custom Jewelry items which we don't carry on the site that are hand crafted or designed in CAD based on customer requirements. Please note: Items from our Make Your Own jewelry can be returned for a refund. Subsequent purchase under our Lifetime Trade-Up Program. Please note the initial purchase is returnable subject to our 30-day return policy. Click here to learn more about Lifetime Trade-Up. Returnable jewelry items may be exchanged. Exchanges are final sale and only apply to like for like jewelry orders (e.g. ring for ring, pendant for pendant, earrings for earrings) within a six-month period. This includes jewelry items that have been returned for refund and then a subsequent like for like jewelry order being placed within 6-months of your original order. This DOES NOT apply to loose stone orders. 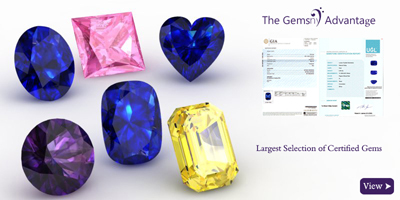 The return policy for gemstone comparison shopping orders is two (2) week from the date of shipment. If items are not returned to us within the two (2) weeks, you will be charged a 10% restocking fee. Items not returned within 30 days of shipping will not be returnable. Comparison shopping orders will need to return items at their expense if all the gemstones within the order are returned. 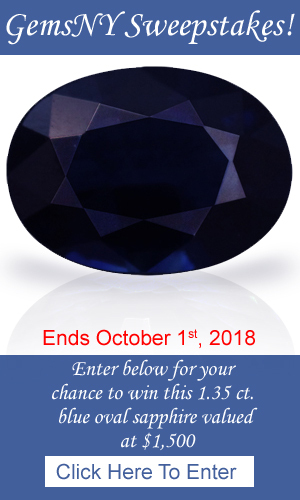 If you are looking to compare different gemstones to help you decide, please read Comparison Shopping under our Terms and Conditions and contact us before you buy to discuss. We offer 100% refund for your order amount less expedited shipping and service charges elected during purchase. All refunds will be made in the same manner they were received. Payments from wire transfer will be refunded via check. Note: Returns on orders purchased through American Express will incur a 3.5% fee. American Express does not refund merchant fees and therefore we can not offer a full refund. Full refunds will be offered on items purchased though Visa, MasterCard and Discover. 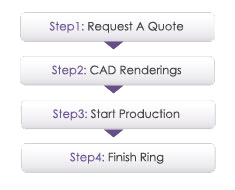 GemsNY offers one free ring resizing within 90 days of your purchase. Simply ship the item to us and pay for return shipping. Resizing generally takes 5-7 business days. Please note that this policy is subject to the ring being resizable. There may be an additional charge for resizing a ring by greater than one (1) full size as we may need to remake the ring. Please contact us at (888) 436-7692 to receive return instructions. We will not accept any unauthorized returns. Please call us at 1-888-436-7692 for your courtesy FedEx return label. Your FedEx return label will be emailed to you. Please print the return label. Our label includes full insurance from our third-party insurer. DO NOT take additional insurance from FedEx. Go to your nearest FedEx location. Pick up a free FedEx shipping box (NEVER use envelopes) and place the items for return within the box. DO NOT reuse an old box - our insurance will NOT cover shipments in reused boxes. 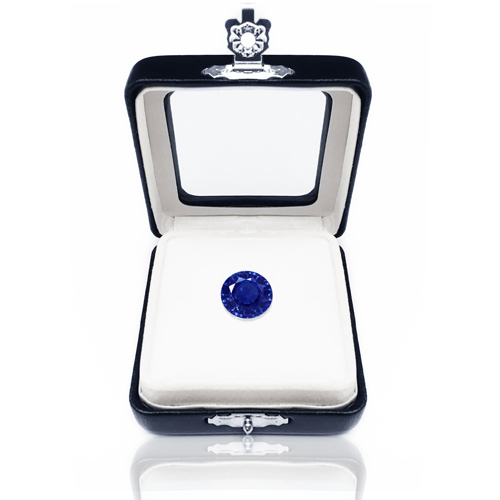 Include all items received from the original shipment, including all certificates and appraisals. Please note, missing certificates and appraisals carry a replacement fee (see Terms and Conditions below). Affix the printed return FedEx label on top of the medium size FedEx box. Request the assistance of a FedEx representative if you are uncertain or need help. Please make sure the FedEx representative scans your package and provides you a receipt. Note, the receipt is very important and needs to be kept in a safe place until you have received your refund. Please call us at (212) 575-1672 or email us at info@gemsny.com to request a return authorization code. Please make certain to put this number on the outermost packaging right below our address. If the RA Code is not clearly visible on the outermost packaging, it may be refused. Place all items received in the original packaging including all certificates and appraisals (don't forget this - missing certificates and appraisals carry a replacement fee - see Terms and Conditions below). Also, clearly print your name and address on the outside of the package. Be Careful : do not write "GemsNY" or any reference to 'gems', 'jewelry', 'diamonds' or any luxury-item related words on the package as it invites theft of packages. Items must be returned within the due date specified on the invoice you received (30 days from the shipment date). Any returns received after this period will not be accepted. Items must be returned in their original, unworn, undamaged condition with the original tags (where applicable) never having been removed - no exceptions. Any international package returned without an RA Code may not be accepted. Accompanying certificates must be returned. Missing certificates will cause the replacement cost to be deducted from the refund amount (minimum $125, but can be greater depending on the certificate or appraisal). Accompanying appraisals must be returned. Missing appraisals will cause the replacement cost to be deducted from the refund amount (fixed $125). GemsNY will not reimburse you for unauthorized shipping expenses incurred. You are responsible for any charges incurred if you choose to ship the return package through a different carrier than that which GemsNY provides for. Do not ship returns C.O.D. Please note that in the event you disregard this condition, GemsNY reserves the right to charge your credit card for any fees we incur upon receipt of your package.